This is another piece of exciting creative news associated with Horsleygate Hall and one of our artists-in-residence (who literally created something permanent in our residence!) Coralie Turpin -and her elephant design ‘Birdy’ which is part of the Herd of Sheffield art installation – released today. The design is a copy of the mosaic floor that Coralie and I conceived for Horsleygate Hall’s cloakroom area. 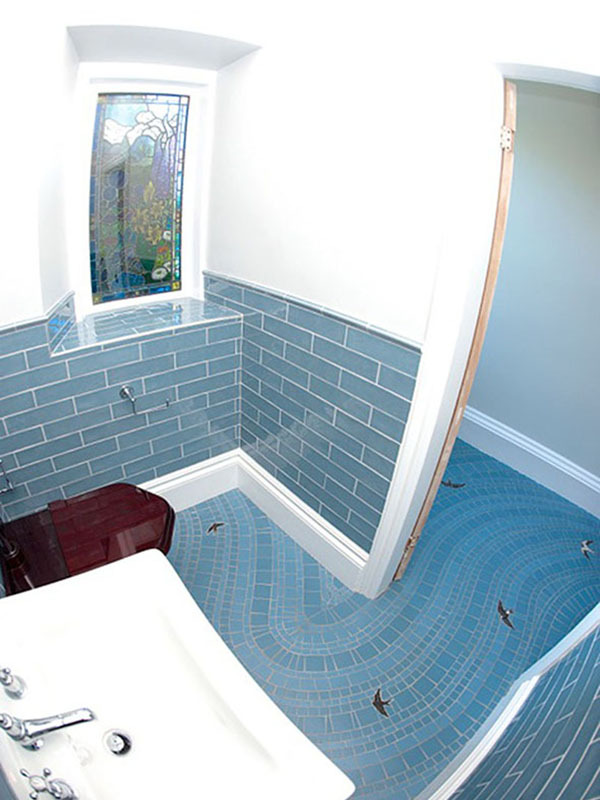 The concept I wanted was to use the original materials of a Victorian tiled floor but make it less formal and reflect the abundant nature present outside. I chose blue to reflect the sky and the birds of choice were House Martins, Swallows and Swifts as they bring such joy to us here throughout the Spring and Summer. I wanted the design to reflect the flow of the birds as they swoop in the air and pull us towards an amazing stained glass window created by Juliet Forrest – where the birds are also present – flying off into the distance. 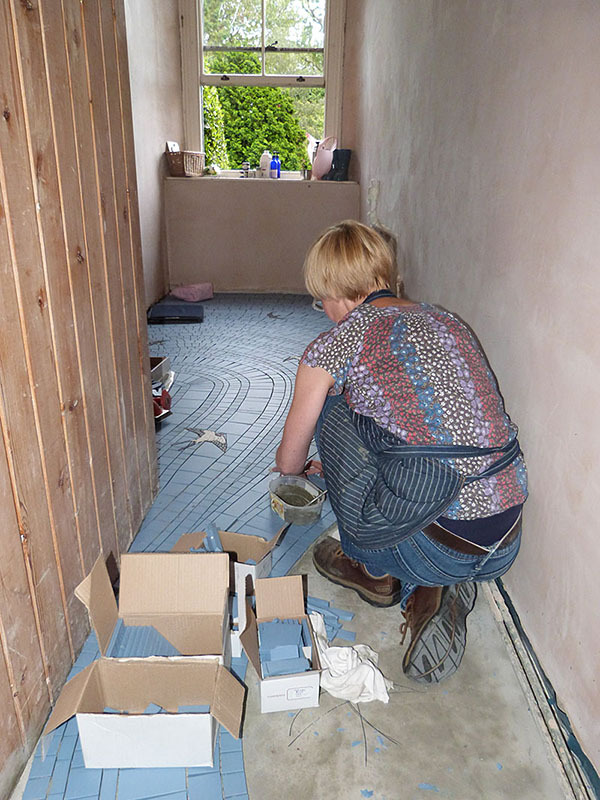 Coralie created the final design, laid the floor and it has been a superb success with everyone that has seen it. We have been immensely proud to then see this design now represented on one of the Elephants and it’s great to see Coralie’s work in another medium. Thank you Coralie, we love it and are really really proud to be part of creating new history and Art with you (and we do emphasize that all the talent is yours)!! ‹ We’re featured in Wild Garden Weekends Book!